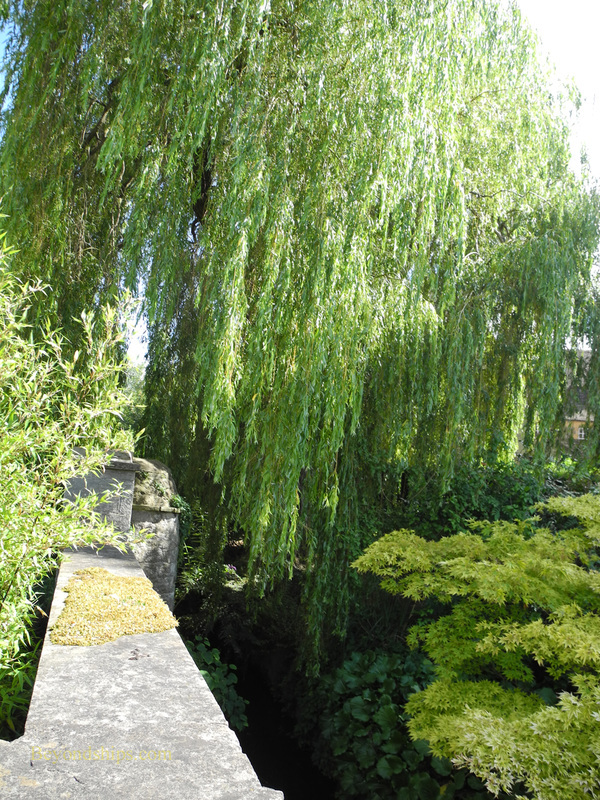 On this page, we present some of the sights that are must-see essentials on a visit to Oxford. The Bodleian Library is the main research library of the University of Oxford. With some 12 million items in its collections, it is the section largest library in Britain. By law, a copy of every book published in the United Kingdom must be deposited with the Bodleian. Along the same lines, the library may request a copy of every book published in the Republic of Ireland. By 1602, the University library had fallen upon hard times. Thomas Bodley, a former fellow of Merton College, volunteered to undertake the task of re-vitalizing the library. As a result, in November 1602, the library reopened as the Bodleian Library. Among other things, Bodley made an agreement with the Stationer's Company in London to supply a copy of every book registered with them. He also donated 2,000 works from his own collection. The oldest library buildings are located around Old Schools Quadrangle. 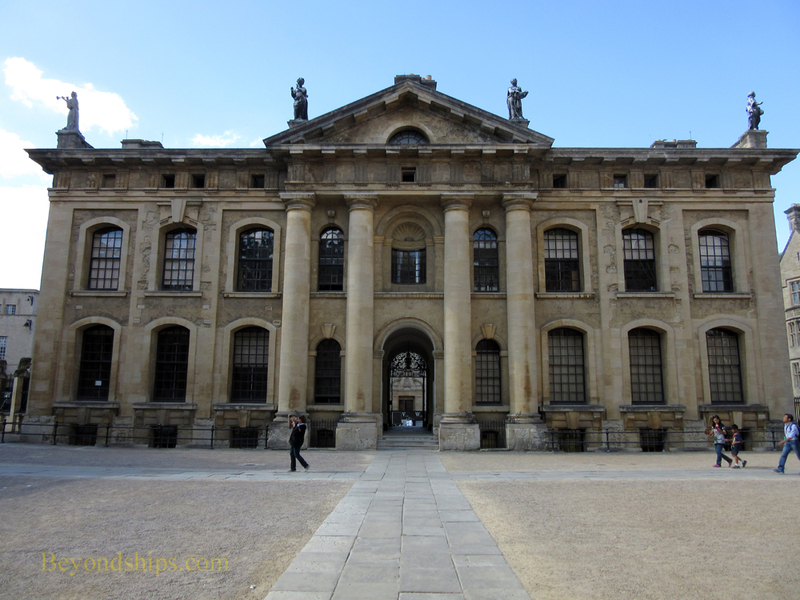 Nearby are the Radcliffe Camera and the Clarendon Building, both now parts of the Bodleian. 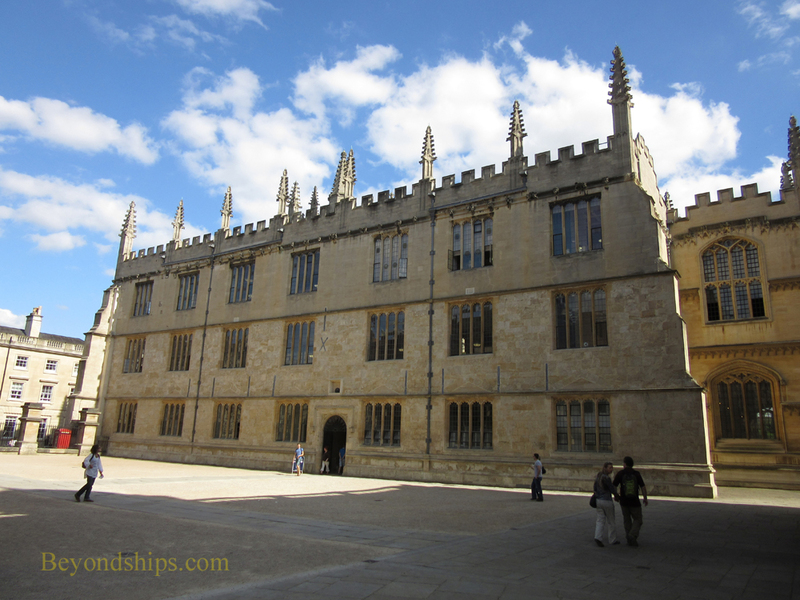 You may have seen the Bodleian in the Harry Potter films, the 1981 television version of Brideshead Revisited or in the Inspector Morse television series. ​Right: The Clarendon Building was designed by Nicholas Hawkesmore and opened in 1711. 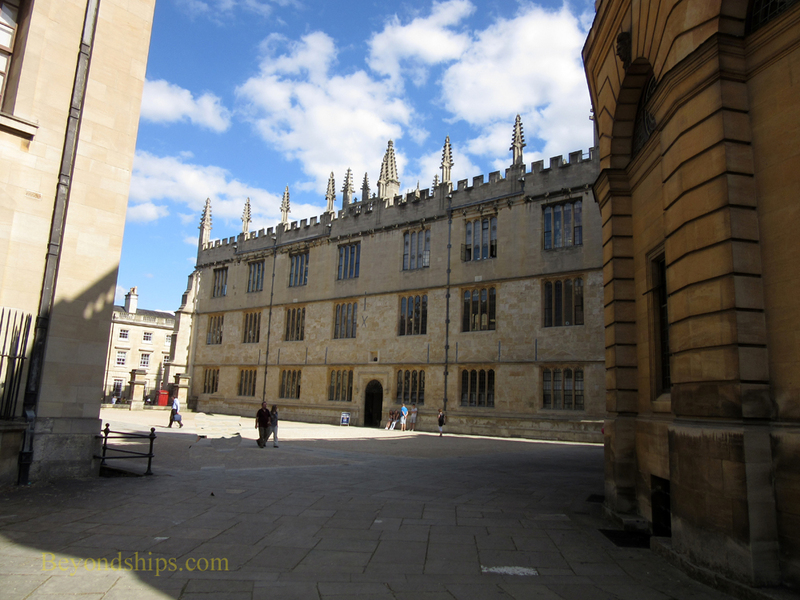 It was originally the home of the Oxford University Press. In 1975, it was given over to the Bodleian. Below: The Bodliean from the Radcliffe Camera side. 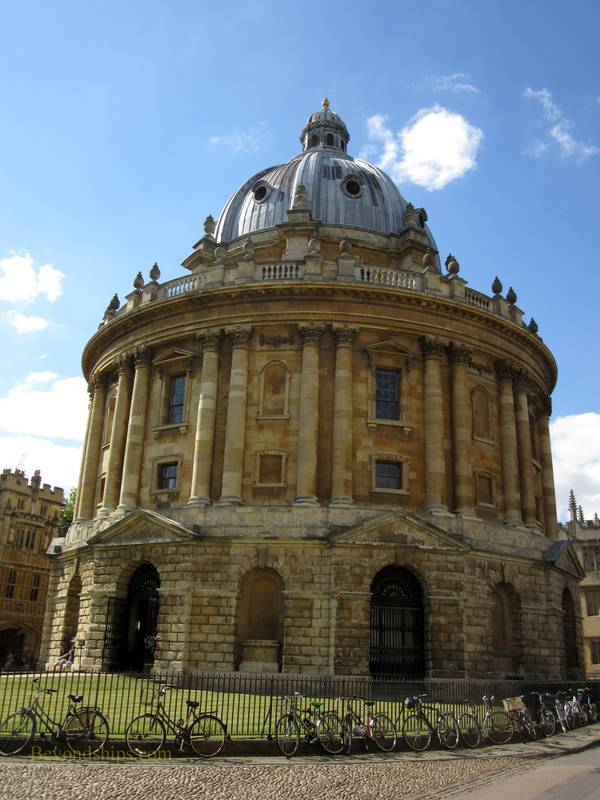 The Radcliffe Camera has become a symbol of Oxford University. Its circular footprint capped by a dome makes it a distinctive landmark and it is often seen on the cover of guide books and other publications about Oxford. Dr. John Radcliffe was once of the most successful doctors in England. When he died in 1714, he left a large sum of money for the construction of a new library in Oxford. It took a number of years to purchase the land and to select an architect. Most of the important architects of the day were considered but most of the candidates passed away as the project lingered. Finally, James Gibbs was selected to be the architect for the new library. The new library opened in 1749. 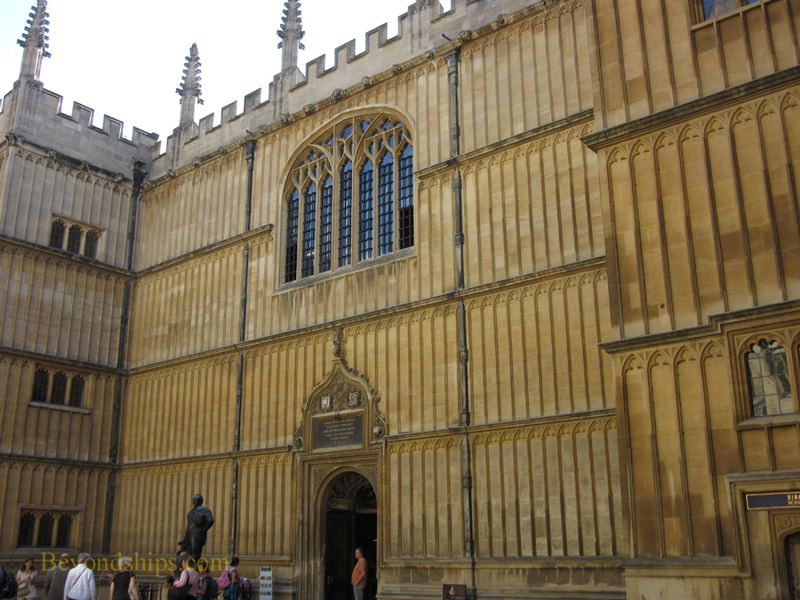 Although in the midst of the Oxford colleges and next to the Bodleian Library, the new library was independent and not part of the university. Although there was much praise for the building, there was little use of the library. This was primarily because the new library had very few books. Over time books were amassed but it was a disparate collection and so the number of readers remained low. 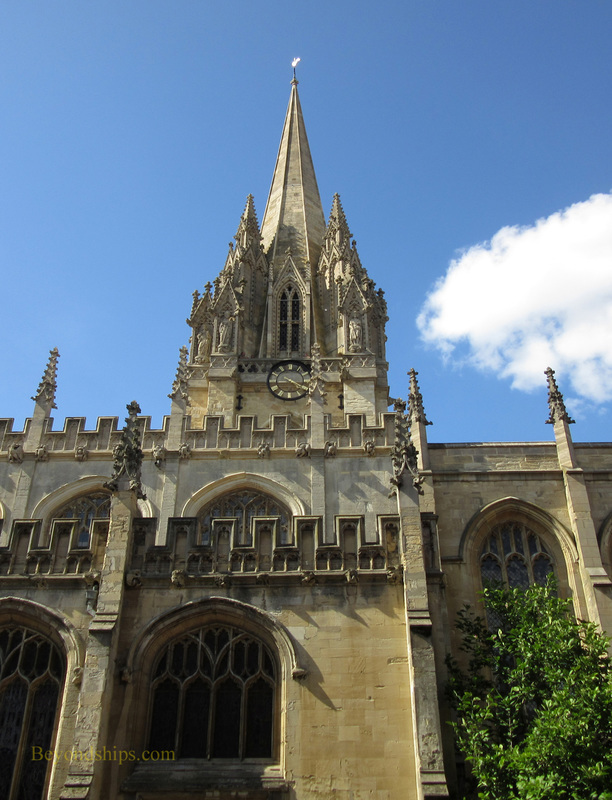 The University Church of St. Mary the Virgin is the largest of Oxford' parish churches. However, it also played a key role in the development of the university in that this is where all of the meetings and ceremonies were held prior to the construction of the Sheldonian Theatre (discussed on next page). ​From its 13th century spire, one gets an excellent view of the skyline of Oxford. However, it is 124 steps to the top.